IS 2062 Grade E350B Hot Rolled Steel Plates Supplier, ASME SA 572 IS 2062 Gr. E350B Offshore Steel Plates Exporter, IS 2062 Gr. E350B Pressure Vessel Steel Plates Dealer. Marc Steel is a popular trader and supplier of IS 2062 GRADE E350B Plates, which is strong and sturdy in nature and ensures longer functional life.IS 2062 GRADE E350B Plates We are also one of the renowned importer, exporter and manufacturer of IS 2062 High Tensile Plates GRADE E350B that are precisely designed by our professionals as per market demands and industrial specifications. We are an acclaimed name engaged in offering our precious clients superior quality of IS 2062 High Tensile GRADE E350B Plates. Apart from manufacturing these in standard models, we can also customize our IS 2062 High Tensile GRADE E350B Sheets as per the clients’ application specific requirements. IS 2062 GR. E350B OFFSHORE STEEL PLATES, IS 2062 GRADE E350B STRUCTURAL STEEL PLATES, IS 2062 GRADE E350B ABRASION RESISTANT STEEL PLATES, ASME SA 572 IS 2062 STEEL PLATES, GRADE E350B IS 2062 STEEL PLATES, IS 2062 GR. E350B PRESSURE VESSEL STEEL PLATES MANUFACTURER & SUPPLIERS. IS 2062 GR. E350B SHEETS EXPORTER, IS 2062 GRADE E350B HOT ROLLED STEEL PLATES DEALER, IS 2062 GR. 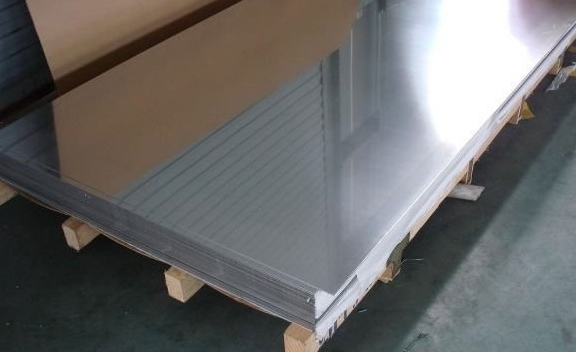 E350B ASTM A572 STEEL PLATES, IS 2062 GR. E350B YIELD STEEL PLATES, IS 2062 GRADE E350B HIGH TENSILE STEEL PLATES STOCKIST, GR. E350B IS 2062 ASTM A572 PLATES EXPORTER IN INDIA. We are an accomplished organization which has gained name and fame in providing IS 2062 High Tensile GRADE E350B Coils to the customers. With the help of our industry experts, we are able to offer the High Tensile IS 2062 GRADE E350B Plates within the short span of time. We are a proficient name in the industry involved in offering High Tensile IS 2062 GRADE E350B Sheets. Offered High Tensile IS 2062 GRADE E350B Coils can be accessed in wide-ranging sizes for applications in diverse industries. This product is used in construction industry. To meet the variegated demands of our clients, we offer IS 2062 High Tensile Plates GRADE E350B in several sizes and shapes. We deliver IS 2062 High Tensile Sheets GRADE E350B within the stipulated timeframe at very affordable price. Buy High Tensile Plates IS 2062 GRADE E350B at reasonably priced rate from us. Peru, Ecuador, Thailand, Tibet, Venezuela, Poland, Canada, Australia, Portugal, Bulgaria, Spain, Macau, Oman, Belarus, Sri Lanka, Greece, Italy, Egypt, Israel, Gambia, Finland, Iran, Algeria, Nigeria, Hungary, Serbia, Afghanistan, Germany, United States, Mexico, Colombia, South Korea, France, Qatar, Belgium, Czech Republic, Brazil, Croatia, Vietnam, Gabon, Angola, Morocco, Kazakhstan, Japan, Puerto Rico, Switzerland, Netherlands, Lithuania, Libya, Philippines, Turkey, Kenya, Lebanon, Russia, China, Sweden, Kuwait, Indonesia, Ghana, Azerbaijan, Taiwan, Estonia, Poland, South Africa, Iran, Jordan, Bangladesh, Malaysia, Bahrain, Nepal, Romania, Iraq, Pakistan, Trinidad & Tobago,Tunisia, Mexico, Ireland, Bolivia, Norway, Costa Rica, Yemen, Singapore, Saudi Arabia, Denmark, New Zealand, Chile, Argentina, United Kingdom, Austria, India, United Arab Emirates, Bhutan, Zimbabwe, Slovakia, Namibia, Ukraine, Nigeria, Chile, Mongolia, Hong Kong. Rajkot, Brisbane, Gimhae-si, Moscow, Tehran, Jamshedpur, Kuwait City, Vung Tau, Coimbatore, Houston, Algiers, Santiago, London, Bangkok, Visakhapatnam, Secunderabad, Ahmedabad, Istanbul, Montreal, Nashik, Caracas, Singapore, Chennai, Courbevoie, Ulsan, Ankara, Port-of-Spain, Chiyoda, Aberdeen, Calgary, Kuala Lumpur, La Victoria, Gurgaon, Hong Kong, Atyrau, New Delhi, Kanpur, Ernakulam, Manama, Rio de Janeiro, Ahvaz, Baroda, Toronto, Muscat, Pune, Bhopal, Petaling Jaya, Dubai, Mumbai, Chandigarh, Madrid, Al Jubail, Perth, Howrah, Dammam, Milan, Lagos, Geoje-si, Indore, Cairo, Vadodara, Mexico City, Sydney, Granada, Navi Mumbai, Jeddah, Bengaluru, Haryana, Kolkata, Riyadh, New York, Lahore, Ranchi, Seoul, Al Khobar, Faridabad, Hyderabad, Bogota, Karachi, Dallas, Thiruvananthapuram, Ludhiana, Ho Chi Minh City, Abu Dhabi, Melbourne, Sharjah, Edmonton, Pimpri-Chinchwad, Thane, Jakarta, Doha, Noida, Colombo, Jaipur, Los Angeles, Busan, Nagpur, Surat, Hanoi.